Patricia Jordan was born in Rahway, N.J. and worked as an administrative assistant at Braun Engineering. She was married to Capt. Paul Jordan for almost twenty-three years. In addition to her husband, she is survived by three daughters, Jo Ann Ruby, Mary Ellen Brennan, and Donna Sacks and her husband Todd; two sisters, Victoria Cook and Donald, Clark; and Frances Werthwein and her husband Norman; her brother, Louis Miele and his wife, Patricia; and six grandchildren. 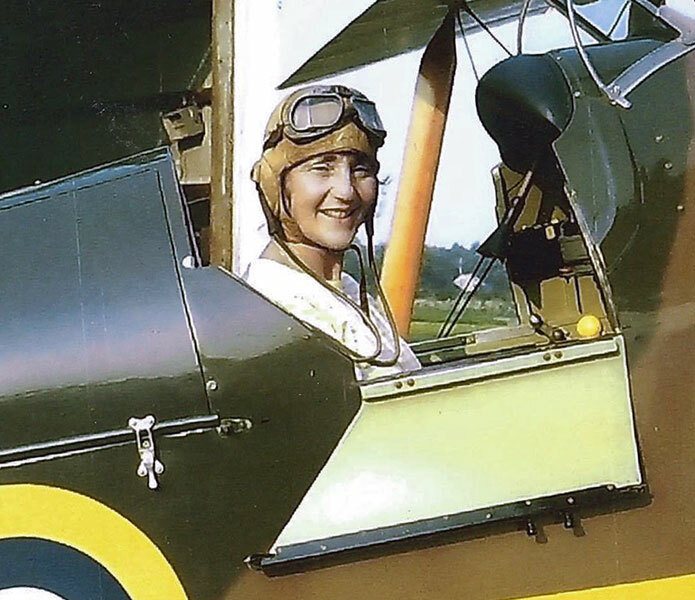 Patricia is seen here in Paul's immaculately restored de Haviland Tiger Moth.